The ClevelandDotNet Blog is created to serve all .Net developers, both in Cleveland and elsewhere. Various .Net questions, events, and technical topics of interest will be posted regularly. Listed below are click-by-click instructions for creating a document library, making it a trusted location, and using it to display an Excel 2007 spreadsheet via Excel 2007 web part. 5. Specify all the settings for the library, using Excel 2003 as the default type. For the sake of this example, the document library will be called “Warehouse Documents”. 2. Click "Shared Services Administration"
4. Click "open Shared Service Administration"
With the retirement of SQL Server 2000 around the corner, this brings up an interesting question for MCAD/MCSD candidates: Will this impact certification Exam 70–229: Designing and Implementing Databases with Microsoft SQL Server 2000 Enterprise Edition? When will the exam be retired? 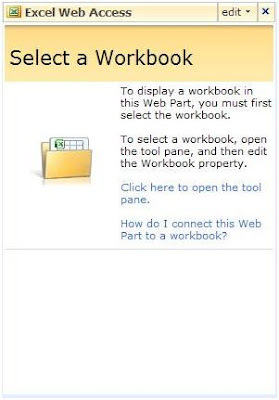 Office 2007 presented users with a new easy to UI, utilizing the new ribbon interface. However, not all users are comfortable with the new UI. A new ribbon customizer tool is available for Office 2007 providing a similar look and feel as previous versions of Office. To preview the ribbon customizer, go to http://pschmid.net/office2007/ribboncustomizer/featuretourpart3.php. A trial download version is also available.